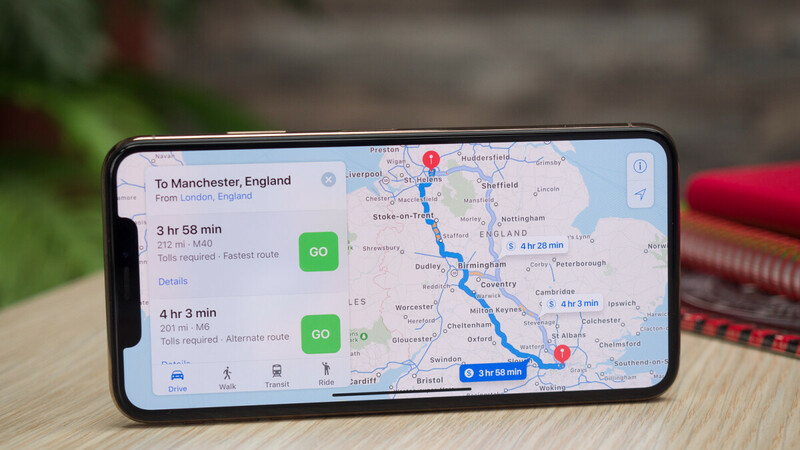 Despite the fact that it's not as popular as Google Maps, Apple's alternative to the web mapping service brings some of its features to more regions and further improves many of the current ones. Starting today, transit directions are available in more regions, including parts of Alaska, Connecticut, Delaware, Florida, Georgia, Indiana, Illinois, Kentucky, Mississippi, Missouri, New Jersey, North Dakota, New York, Oklahoma, Rhode Island, South Dakota, and Texas. Moreover, transit directions are now available in countries like Australia, Denmark, Finland, Norway, and Sweden. Although transit information may have been introduced in parts of these countries earlier this year, the latest update expands it to even more regions. At the same time, the latest update brings additional indoor maps for malls and airports. As MacRumors points out, one new airport in the United States now features indoor maps, Fort Lauderdale-Hollywood International Airport, and two new airports in Europe – Newcastle International Airport and Milano Linate Airport. Last but not least, indoor maps are now available in more than 20 malls in the United States, such as: Bellingham (WA), Bloomington (IN), Boulder (CO), Edinburgh (IN), Denver (CO), Evansville (IN), Greenwood (IN), Hoover (AL), Jonesboro (AR), Lakewood (CO), Littleton (CO), Lone Tree (CO), Lynnwood (WA), Manchester (NH), Moline (IL), North Little Rock (AR), Rogers (AR), Salem (NH), Seattle (WA), Spokane Valley (WA), Spokane (WA), and Vancouver (WA). Many malls in Australia and Japan now feature indoor maps as well, so make sure to check out Apple's Feature Availability website for the full list of regions.